Former Champions League winning Liverpool manager Rafa Benitez has fuelled speculation that he wants to move back to the club he managed between 2004 and 2010, the Mirror reports. 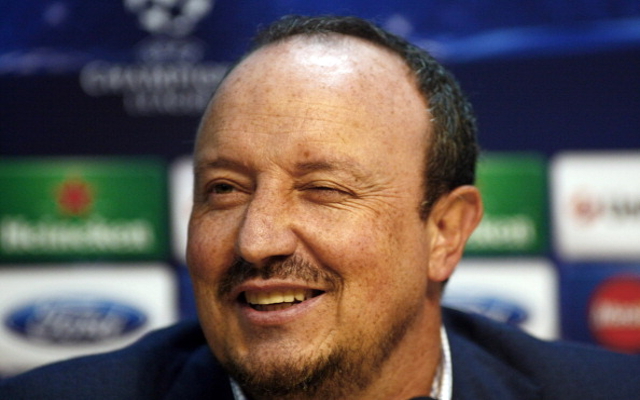 Benitez left four years ago after six terms in charge, and despite the fact his final season was poor, his career on Merseyside has to be judged a success because of his Champions League and FA Cup triumphs, and the fact he so nearly won the Premier League in 2008/09. Since leaving Liverpool, Benitez has failed at Inter Milan, performed excellently as interim Chelsea manager, and done relatively well in Serie A with Napoli, where he still coaches today. However, the Spaniard’s family still live in Liverpool, and Benitez has hinted that he’d ideally like to return to the city at the end of the season as a result. “My wife and two daughters live in Liverpool. It’s the first time I haven’t had them with me, it’s not easy. [Napoli owner Aurelio] De Laurentis knows how important my family values are to me,” he said. Although Benitez will always have a place in supporter’s hearts, his comments are slightly mischievous considering the fact that Brendan Rodgers is still very much in a job. Ideally, the Northern Irish boss will turn this season around, and speculation about his future will disappear.